O que significa a expressão PUT ON A FRONT? -Hey, I've known you for a while but I've never talked yo you about your taste in music. What kind of music do you like? -I love rap and my favorite singer is Eminem. -Really? What's your favorite thing about him? -I just like the fact he acts the way he wants and says whatever he feels like in his lyrics. He is not worried about putting on a front, you know? Most people in the music industry are fake and that bothers me a lot. I'm just trying to say he's authentic. -Wow wow! You have a really strong opinion on that guy. You must really like him a lot. -I heard about James' father's fatal accident. Have you heard from him since then and how he's been? -I only saw him at the funeral and oddly enough I have to admit he didn't show any sign of grief over his father's death and I'm not the only one saying this. -Well, I had the best impression of their relationship and it seemed they got along pretty well. I'm sure he's just putting up a front. I wish he had more free time to go out with me. = Eu gostaria que ele tivesse mais tempo livre pra sair comigo. We wish they lived near here. = Eu gostaria que eles morassem perto daqui. They wish she knew more about the job. = Eles gostariam que ela soubesse mais sobre o trabalho. I wish you didn't tell them. = Eu gostaria que você não contasse para eles. 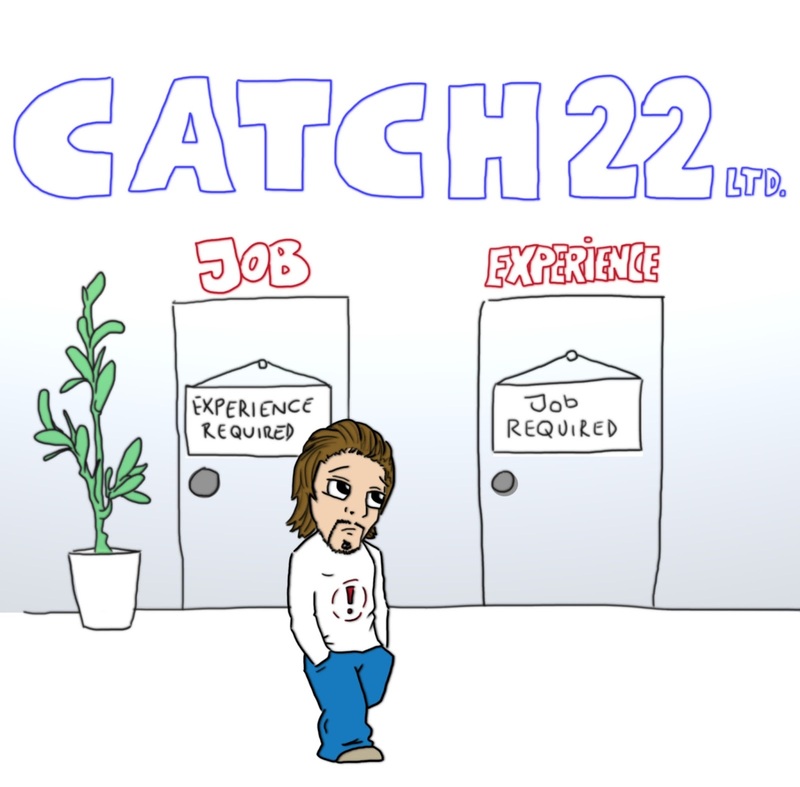 O que significa a expressão CATCH 22? -Hey, I heard you were super excited for a job interview that was supposed to happen yesterday. how did that go? -That went terrible. They said they were fine with young employees because they needed fresh perspectives but they actually couldn't hire people who had under 5 years of experience. But how can that make any sense? How can I have experience if they won't give me a chance to have my first job? -Yeah. 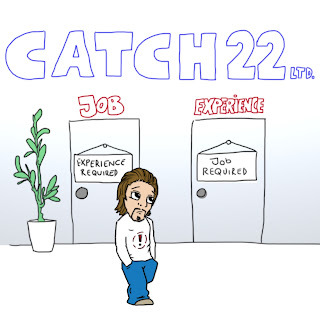 It's a typical catch 22 situation. O que signfiica a expressão "TO TAKE DOWN A NOTCH"
-Do you remember that popular cheerleader from high school that made everybody's life hell? -Yeah I do. Gosh I hated that girl. -I just saw her on my way here and she seemed desolated. Life doesn't seem to be treating her very well. Somebody told me her husband left her for her best friend and she became very depressed. -Yes, what goes around, comes around. Soon or later somebody would eventually take her down a notch. -Come on, don't say that! I know she was mean, but maybe she's changed. And nobody deserves such a thing! 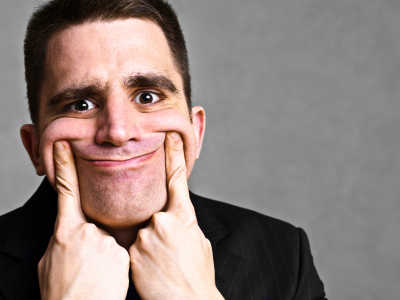 TO TAKE DOWN A NOTCH: to deflate or humble someone. You can also use it as an expression such as: take it down a notch! meaning to say "hey you, act less arrogantly". A variation for that expression would be "to take down a notch OR TWO".